Readers may have seen Hugo Palmer's Dombra narrowly foiled when ''just held'' at Salisbury on 27th June. As yet, this has been the only two-year-old to be seen in our domestic racing. However, that could be changing this week with news that Andrew Balding's Fox Premier has been entered for a few races and likely to make his debut at Haydock, Newbury or Sandown. This son of Frankel cost 700,000 Guineas at the yearling sales. This bay colt is out of the mare Fann who was trained by Clive Brittain in the ownership of Saeed Manana. She raced nineteen times although only achieving one win in a handicap. She was very much a progressive filly who rose dramatically in the official ratings when rising to 104 when going close at Group 2. 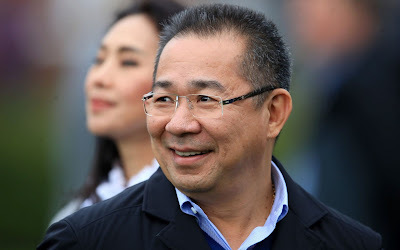 Fox Premier runs in the familiar blue and white silks of Leicester City FC owner Vichai Srivaddhanapradha in the name of King Power Racing Co Ltd.
Andrew Balding has noted this two-year-old who has been entered to run at Class 2 which brings some confidence. He will be racing over six or seven furlongs. In addition, John Gosden may have a Frankel-sired filly running on Friday in the name of Frisella. The mare raced twice for the same connection, winning a maiden on her second start before retiring. This bay filly is a home bred for K. Abdullah. She is entered to run Friday 6th July 6:45 Haydock.